Apple may be struggling to get AirPower out the door, but that was never going to be the only way to change multiple devices at once. Choetech already has a two-device wireless charging slate available, and right now it can be yours for an absolute steal. 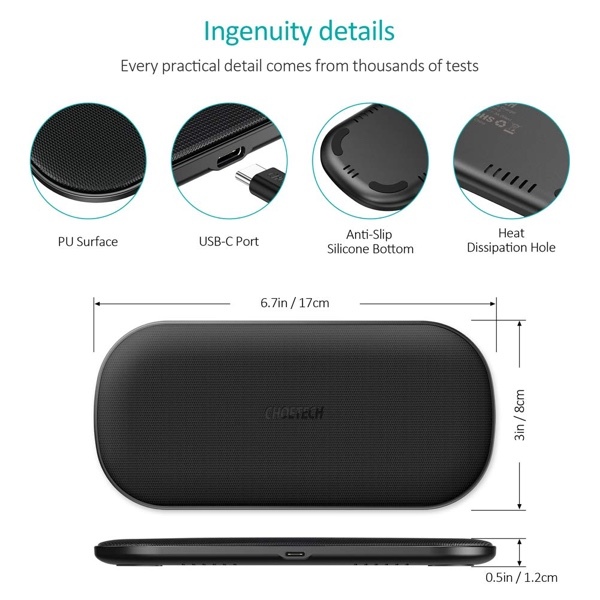 The Dual Wireless Charger can charge any two devices including an iPhone or Android device, so long as they are Qi-compatible. There’s even a Quick Charge 3.0 adapter included in the box, so you can be sure that everything is charging as quickly as it possibly can. In other words, you won’t be scrambling to get this thing working the moment after you receive it. The charger is able to power two devices at once thanks to the use of no fewer than five charging coils. That means that you don’t have to be too specific about where you place your devices when charging them, either. Just lay them flat at the top of the charger and boom, you’ll be juicing up immediately. 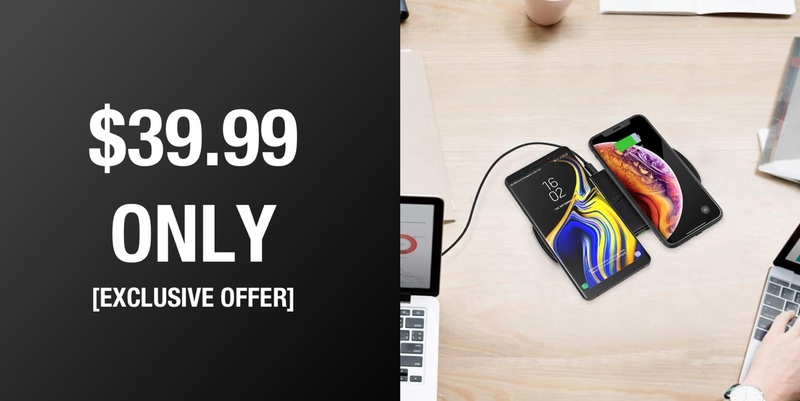 This charger is normally very well priced at $52, but right now it can be yours for just $39.99 if you enter our exclusive discount code! If you have a couple of phones that need charging every night then this is the perfect chance to save space and plug sockets. Wireless charging is a great way of charging phones, and if you’ve been holding off while Apple gets its AirPower-shaped ducks in a row, there are absolutely options out here right now, and they’re pretty awesome. Get your order in today before the deal comes to an end – offers like this can’t go on forever!